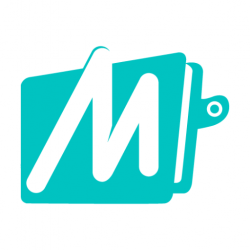 Mobikwik is back with a fantastic offer for their new users. Now mobikwik has come up with Mobikwik SuperCash Offer where you will get Rs.65 cashback on adding Rs.10 in the wallet. But this offer is valid for new users only. So if you have not signup for a mobikwik account on your device, then this is a good opportunity to get Rs.65 wallet balance for free. So guys, hurry up and avail this loot offer. Update: Rs.65 will be added as SuperCash (Not in your wallet as cashback). You can use 10% of your total SuperCash amount in every payment you make with MobiKwik. For example: if you make your next recharge of Rs.100 then your payble amount will be Rs.90. Means Rs.10 will be deducted from SuperCash. Note: The offer is valid for new mobikwik users only. You need to use a new device or debit/credit card to get Rs.65 cashback. Click on “Add Now” & Enter your debit or credit card details. Make payment using debit/credit card only. You will get Rs.65 cash back instantly in your mobikwik wallet. Get flat Rs.65 cashback on Add Money of Rs.10 or more done on MobiKwik App.